On the night of April 12, 1982, Terry Michael Mincey, along with two accomplices, robbed a convenience store in Macon, Georgia. Mincey entered the store and pulled a pistol from under his coat and ordered the store's cashier, Paulette Riggs, to empty the cash register into a bag. Mincey then saw two teenagers and ordered them into his car. Outside the store Russell Peterman, a Bibb County Firefighter, pulled up to the store and began pumping gas. Meanwhile, Mincey escorted Riggs from the store and headed towards Peterman. Mincey ordered Peterman to come with him and when Peterman didn't respond immediately, Mincey shot him in the chest. While Peterman lay there, still conscious, Mincey fired point-blank at his head. As the second shot rang out, the two teenagers fled into a nearby field. Mincey believed that the second shot had killed Peterman and headed for the car. As he did, Griggs attempted to run away and Mincey shot her and she fell near a dumpster behind the store. Mincey then ran to where she was lying and shot her in the head. As they drove away, Mincey was asked by one of the accomplices if both people were dead and Mincey said yes they're dead, I know they're dead, I shot both of them. Riggs died as result of her wounds, but Peterman survived with serious injuries. The two accomplices received life sentences. Atlanta, Georgia -- The Bibb County Superior Court has ordered the execution of convicted murderer Terry Michael Mincey, 42. The Court ordered the Department of Corrections to carry out the execution between the days of October 25, 2001, and November 1, 2001. Corrections Commissioner Jim Wetherington has set the execution, which will take place at the Georgia Diagnostic and Classification Prison located in Jackson, Georgia, for 7:00 pm on Thursday, October 25, 2001. On April 12, 1982, sometime after 10:00 pm., Terry Michael Mincey, along with two accomplices, robbed a convenience store at the corner of Houston Avenue and Hartley Bridge Road in Macon, Georgia. Mincey entered the store and pulled a pistol from under his coat and ordered the store's cashier, Paulette Riggs, to empty the cash register into a bag. Mincey then saw two teenagers and ordered them into his car. Outside the store Russell Peterman, a Bibb County Firefighter, pulled up to the store and began pumping gas. Meanwhile, Mincey escorted Riggs from the store and headed towards Peterman. Mincey ordered Peterman to come with me and when Peterman didn't respond immediately, Mincey shot him in the chest. While Peterman lay there, still conscious, Mincey fired point-blank at his head. As the second shot rang out, the two teenagers fled into a nearby field. Mincey believed that the second shot had killed Peterman and headed for the car. As he did, Griggs attempted to run away and Mincey shot her and she fell near a dumpster behind the store. Mincey then ran to where she was lying and shot her in the head. As they drove away, Mincey was asked by one of the accomplices if both people were dead and Mincey said yes they're dead, I know they're dead, I shot both of them. Riggs died as result of her wounds, but Peterman survived. The two accomplices received life sentences and Mincy was convicted of Murder, Armed Robbery, and Aggravated Battery. He was sentenced to death in August of 1982. If executed, Mincey will be the first Georgia inmate put to death by lethal injection. Since the U.S. Supreme Court upheld the constitutionality of Georgia's death penalty in 1977, twenty-three inmates have been executed. All were put to death in Georgia's electric chair. 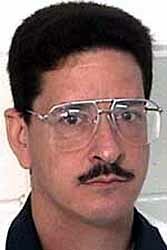 The last inmate executed was David Loomis Cargill in June of 1998. Media interested in a picture of Mincey and a listing of his crimes can go to the Department of Corrections web page (www.dcor.state.ga.us). On the main menu, look to the left and click on inmate query. An acknowledgment of the disclaimer that follows will allow access to the offender query page. To retrieve the Mincey photo and information, enter his name or state inmate number, which is 160842. Robert Jones, Timothy Jenkins and Terry Mincey met in the evening of April 12, 1982, and discussed committing a robbery. Each was armed, Jones with a .12 gauge shotgun, Jenkins with a .38 caliber pistol and Mincey with a .380 caliber semi-automatic Llama pistol. After several possibilities were discussed and rejected, the trio drove by a Mini Food Store in Bibb County. They circled back to the store and parked. Mincey entered the store briefly and returned to the car. He told the others that there were only a female clerk and two teenagers inside and it looked like a good place to rob. He informed the others that he did not plan on leaving any witnesses. When Jenkins protested, Mincey told him, "If you're talking about not wasting nobody, you're in the wrong . . . car." They waited, hoping the kids would leave. When, after a few minutes, they did not, Mincey reentered the store. Jenkins positioned himself outside, between the ice machine and the dumpster. Jones, the driver, stayed in the car. A fourteen-year-old girl and her 15-year-old brother were inside the store, visiting the cashier, Mrs. Riggs. When Mincey entered the store, they recognized him as the same young white male who had entered the store 10 or 15 minutes previously. He told Mrs. Riggs to "put the money in the bag" and told the kids to go to the car. Jenkins, standing outside, saw two teenagers walk out of the store just as a pick-up truck pulled up to the gas pumps. The driver, Russell Peterman, got out and began to fill his tank. Meanwhile, Mrs. Riggs, followed by Mincey, exited the store. When Mincey saw Peterman at the gas pumps, he turned Mrs. Riggs over to Jenkins and walked toward the pumps. Peterman testified that as he was pumping gas, he was confronted by a young white man with a pistol in his hand, who said, "come go with me." Peterman was so surprised that he failed to respond. The man said, "You think I'm joking, don't you?" Then he shot Peterman in the chest. Peterman fell to the ground, and the man walked over and shot him in the face. When this happened, Jenkins proceeded toward the getaway car and the teenagers ran. Jones, sitting in the car, saw Mrs. Riggs run after them, but she ran too late. Mincey came back across the parking lot and fired at her. Jones saw Mrs. Riggs grab her neck and fall behind the dumpster. Mincey walked behind the dumpster and bent down. Jones heard a second shot. Mincey ran to the car, got in, and they left. They counted the money taken from the store -- about $40. Jones asked if the victims were dead. Mincey answered, "Yes, they are dead. I know they are dead, I shot both of them." Then Mincey asked where the kids were. When he found out they had escaped, he said, "Well, I just got a death sentence." Jones' car was a multi-colored Mustang with mag wheels, no hood, one working headlight and a loud muffler. When police arrived at the scene a few minutes after the robbery, witnesses were able to describe the car and identify its owner. Jones was soon located and placed under arrest. After he named Mincey as a participant, officers went to Mincey's residence and placed him under arrest. Mincey thereafter admitted to law enforcement officers that he had shot Peterman and Mrs. Riggs. Mrs. Riggs died. An autopsy revealed that she had been shot twice. One bullet entered her left ear, went through her head, and lodged in her right cheek. This bullet was recovered. The other entered the right side of her head through the temporal bone (driving bone fragments into her brain), deflected, and exited on the right side of her neck. This bullet, which inflicted the fatal wound, was not recovered. Peterman lived. One bullet entered his chest and lodged in a muscle close to his spine, where it remains. The other bullet entered the left side of his head and traveled across his face. Two weeks after he was shot, his condition had stabilized sufficiently that this wound could be operated on. The bullet was removed from under his right eyebrow. His left optic nerve was damaged by the passage of the bullet and he is now totally blind in his left eye. His right eye suffered severe retinal damage and has a drooping upper lid, which may or may not eventually elevate on its own. With the lid lifted out of the way, his right eye has approximately 40% of its original vision. A .380 Llama pistol was recovered from Mincey's trailer. Ballistics examination showed it to be the pistol which had fired the bullets recovered from Peterman and Mrs. Riggs. On October 11, 2001, the Superior Court of Bibb County filed an order, setting the seven-day window in which the execution of Terry Michael Mincey could occur to begin at 12:00pm on October 25, 2001 and end seven days later at 12:00pm on November 1, 2001. The Commissioner of the Department of Corrections set the specific date and time for the execution as 7:00p.m. on October 25, 2001, pursuant to the discretion given the Commissioner under state law. Mincey had previously concluded his direct appeal, as well as state and federal habeas corpus proceedings. The scheduled execution of Mincey was carried out at approximately 8:06pm on Thursday, October 25, 2001. On April 12, 1982, sometime after 10:00 p.m., Terry Mincey, Robert Jones and Timothy Jenkins, decided to rob a Mini Food Store at the corner of Houston Avenue and Hartley Bridge Road in Macon, Georgia. Mincey and Jenkins got out of the car and Jones remained behind the wheel, leaving the motor running. While Jenkins positioned himself besides an ice machine outside the store where he could see the store’s counter area through the storefront window. Mincey entered the store and pulled his pistol from under his coat. Two teenagers saw Mincey in the store and Mincey told them to get into the car parked outside and ordered the store’s cashier, Paulette Riggs, to empty the cash register into the bag that Mincey was carrying. When the teenagers left the store, Jenkins, told them to stay put. At this point, Russell Peterman, a Bibb County firefighter, pulled up to the gas pumps and began pumping gas. Meanwhile, Mincey escorted Riggs from the store at gunpoint, told her to stand next to Jenkins and headed toward Peterman. Mincey told Peterman, “come go with me.” Peterman did not respond and Mincey, exhibiting a flash of anger, said, “You think I’m joking, don’t you.” Mincey then fired once, hitting Peterman in the chest. While Peterman lay there, still conscious, Mincey fired point-blank at Peterman’s head. As the second shot rang out, the two teenagers fled to a nearby field. Mincey believed that the second shot had killed Peterman and headed for the car. When Riggs started to run away, Mincey shot at her and she fell near a dumpster behind the store. Mincey walked to where Riggs was lying, shot her in the head and ran to the Mustang. As they were driving away, Jones asked Mincey if both people were dead and Mincey said, “yes, they are dead, I know they are dead, I shot both of them.” When Mincey realized that the two teenagers had escaped, he said, “well, I just got a death sentence . . .a murder rap for $40.” Mincey made several incriminating statements. Mincey was found guilty as charged by a jury in the Superior Court of Bibb County, Georgia on August 23, 1982. On August 26, 1982, Mincey was sentenced to death for the murder and received a life sentence for armed robbery and a consecutive twenty-year sentence for aggravated battery. The Direct Appeal - The Supreme Court of Georgia affirmed Mincey’s convictions and sentences in Mincey v. State, 251 Ga. 255 (1983). A petition for a writ of certiorari was denied on November 7, 1983. Mincey v. Georgia, 464 U.S. 977 (1983), rehearing denied, 464 U.S. 1064 (1984). First State Habeas Corpus Petition - Mincey, represented by Michael Hauptman, filed a petition for a writ of habeas corpus in the Superior Court of Butts County, Georgia, which was denied, following an evidentiary hearing, on February 7, 1988. The Supreme Court of Georgia subsequently denied a application for a certificate of probable cause to appeal and then the Supreme Court denied certiorari in Mincey v. Georgia, 488 U.S. 871 (1988), rehearing denied, 488 U.S. 977 (1988). First Federal Habeas Corpus Petition - Mincey filed petition for a writ of habeas corpus in the United States District Court for the Middle District of Georgia, which was dismissed without prejudice. Second State Habeas Corpus Petition - Mincey filed a second state habeas corpus petition which was dismissed on March 3, 1984. Second Federal Habeas Corpus Petition - Mincey’s second federal habeas corpus petition was filed in the Middle District of Georgia and the District Court denied relief on May 7, 1997. Mincey’s motion to alter or amend judgment was denied on August 26, 1997. Appeal to the Eleventh Circuit - Following the filing of briefs and oral argument, the Eleventh Circuit affirmed the denial of federal habeas corpus relief to Mincey on March 16, 2000 in Mincey v. Head, 206 F. 3d. 1106 (11th Cir. 2000) and rehearing en banc was denied on August 10, 2000. Mincey’s petition for certiorari was denied on March 19, 2001 and rehearing was denied on May 14, 2001. Third State Habeas Corpus Petition - Following the entering of the abovementioned execution order, Mincey filed his third petition for a writ of habeas corpus on October 19, 2001. Mincey amended his third state habeas corpus petition on October 22, 2001. On October 23, 2001, the state habeas corpus court denied Mincey’s petition and motion for a stay of execution and granted the Respondent’s (Warden Fredrick Head, represented by the Attorney General’s Office) motion to dismiss the petition. On October 24, 2001, Mincey filed a motion for stay of execution in the Supreme Court of Georgia and an application for a certificate of probable cause to appeal from the denial and dismissal of Mincey’s third state habeas corpus petition, which were denied on October 25, 2001. JACKSON, Ga. (Reuters) - Georgia conducted its first execution by lethal injection on Thursday, putting to death a man convicted of killing a convenience store clerk during a 1982 robbery. Terry Mincey, 40, whom defense attorneys depicted as an innocent man as well as a ``guinea pig'' for lethal injection in Georgia, was executed after last-ditch pleas for clemency were rejected. Mincey had been scheduled to be executed at 7 p.m. EDT, but the execution was delayed for almost an hour while final appeals were considered. He was pronounced dead at 8:06 p.m.
Georgia Department of Corrections spokesman Scott Stallings said Mincey refused a prayer but thanked his family and friends before an injection of lethal chemicals in the death chamber at the state prison in Jackson, about 50 miles (80 km) south of Atlanta. The execution, the first in Georgia since 1998, came less than three weeks after the state Supreme Court ruled the use of the electric chair to execute inmates was unconstitutional because it inflicted needless suffering. The court ordered the state to switch its method to lethal injection. Mincey's lawyers had argued that the execution should not proceed since they had not had enough time to investigate whether lethal injection was unconstitutional. The Georgia Board of Pardons and Paroles rejected Mincey's request for clemency following a hearing on Wednesday. Mincey was convicted of shooting Paulette Riggs and stealing $141.19 from a cash register at a convenience store in Macon, Georgia, 75 miles south of Atlanta. His lawyers had argued that one of Mincey's co-defendants killed Riggs. There are now 127 prisoners on Georgia's death row. JACKSON, Ga. (AP) - A Methodist minister's son convicted of killing a woman during a 1982 convenience store robbery on Thursday became the first Georgia inmate to die by lethal injection. Terry Michael Mincey, 41, was pronounced dead at 8:06 p.m., prison officials said. Mincey had been set to die in the electric chair until Oct. 5, when the state's high court ruled that the chair violated the ban on cruel and unusual punishment. That shifted all the state's executions to injection, which had already been adopted for crimes committed after May 2000. Mincey was convicted of killing Paulette Riggs in an April 1982 robbery at a convenience store in south Bibb County, near Macon. The Georgia Supreme Court denied Mincey's motion for a stay of execution Thursday afternoon. The U.S. Supreme Court, acting on two petitions from Mincey's attorneys, refused to block the execution about an hour before it was to take place. The court later rejected a third request for a stay. ''At this point, I'd just like to thank the people who stood by me,'' Mincey told the 19 witnesses. There were seven state witnesses, five media witnesses and seven witnesses for Mincey. Mincey was lying on a gurney that was angled in the death chamber so he could see the witnesses. State prison warden Fred Head read the execution order and the prison chaplain squeezed Mincey's hand. He stared at a couple who were among his witnesses and nodded his head slightly. When the two executioners in a back room started the injections, Mincey looked at the ceiling and closed his eyes. He swallowed and uttered several words witnesses could not understand. At one point, Mincey seemed to breathe heavily. The breathing became weaker and less frequent until it stopped. Two doctors came and checked for vital signs, and both shook their heads. Head pronounced the court-ordered execution of Mincey carried out at 8:06 p.m. The execution was delayed while Mincey's last appeals played out, said Mike Light, executive assistant to the state corrections commissioner. Light said prison officials began strapping Mincey onto the gurney at 7:35 p.m.
Mincey appeared in the chamber with black hair and a black mustache, instead of the shaved head he would have had for the electric chair. Mincey was covered from the waist down with a sheet, and witnesses could see his white prison shirt above the sheet. He was strapped to the armrest, and his fingertips were taped to the armrest. There were two plastic tubes running from openings at the rear of the death chamber, and there were wires running from his chest to an EKG machine that monitored his heart. Two correctional officers stood in the chamber, along with a medical technician, who was dressed in a bright, flowery jacket similar to what a nurse would wear in a doctor's office. Executioners used three drugs -- sodium pentothal, a sedative; pavulon, to paralyze the lungs; and potassium chloride, which causes the heart to stop. Mincey's death was the first execution in Georgia since June 1998, when David Loomis Cargill was electrocuted for murdering a Columbus couple in 1985. The state currently has 127 men and one woman on death row. Georgia had used the electric chair since 1924, when it replaced hanging. A total of 441 people have been put to death in Georgia's chair. Alabama and Nebraska are the only states left that use the electric chair as the sole means of execution. Mincey, a career criminal found guilty of several convenience store robberies, received a physical and a shower Thursday afternoon, followed by his final meal. He had asked prison officials to serve him fried shrimp, a baked potato, a pint of chocolate ice cream and two cans of soda. Terry Mincey is scheduled to be executed in Georgia on 25 October. He has spent more than 19 years - almost half his life - on death row. He was sentenced to death for the murder of Paulette Riggs, who was shot dead on 12 April 1982 during a robbery of the store in Macon where she worked. A second person, Russell Peterman, was also shot during the crime. He survived, blinded in one eye. Terry Mincey was sentenced to death in August 1982. Two years earlier, Terry Mincey had had a near fatal motorcycle accident. At the trial, although family members testified that he had undergone a drastic personality change after the accident, with severe mood swings and an impaired memory, the defence presented no expert mental health evidence about the head injury and its possible effects. Thus the jury never heard the type of expert opinion that was provided in a 1993 affidavit by a psychologist, who stated that the injury would have impaired Mincey's judgement and impulse control: "Mincey's head injury was a significant factor in the case - a factor which when considered establishes that Mr Mincey's actions on the night of the offense were the irrational impulsive actions of a brain damaged individual and not the actions of a cold, calculated, and premeditated murderer". Eight years after the trial, Terry Mincey's appeal lawyers discovered notes that the prosecutor had taken during a pretrial meeting with the state's psychiatrist, who was a member of the state forensic team which had evaluated Mincey in May 1982. The prosecutor's notes included the following about Terry Mincey: "Brain damage in auto accident. Reflexes more active on 1 side. This indicates motor muscle power differential. It is possible he might now be more susceptible to irrational behavior". The notes also indicated that Mincey had a history of drug abuse, and had been under the influence of LSD or quaaludes at the time of the crime. In Brady v Maryland (1963), the US Supreme Court held that "the suppression by the prosecution of evidence favorable to an accused... violates due process where the evidence is material either to guilt or to punishment, irrespective of the good faith or bad faith of the prosecution". However, the appeal courts have dismissed Mincey's claim that the withheld evidence amounted to an unconstitutional Brady violation, saying that the claim should have been raised earlier, and that even if the notes had been disclosed to the defence at the time of the trial, it would not have led to a different outcome. Arguing for death at the 1982 trial, the prosecutor had argued that Mincey would pose a future risk of violence, in prison or outside, if allowed to live. In almost two decades on death row, Terry Mincey has reportedly had one disciplinary write-up, for a minor non-violent breach of prison rules. He has continued to educate himself over the years, including, for example, by learning Japanese. A journalist who covered the original trial for a local newspaper subsequently developed a friendship with Terry Mincey. He has recently written of Mincey: "his actions as well as his words demonstrate his remorse for his crime and for the destruction he has caused... He has spent nearly twenty years reflecting upon his life and his actions, and he appears to me to have matured and changed. Terry is not the reckless, chaotic young man of April 1982...". "Mincey Lethal Injection Opens Door to More," by Bill Rankin and Rhonda Cook. Idle for three years before last week, Georgia's death chamber may now see more executions in a month than in any year since 1987. On Thursday, Terry Mincey became the first Georgia prisoner to be put to death by lethal injection. The execution occurred a mere 20 days after the Georgia Supreme Court declared the electric chair unconstitutional, clearing the way for lethal injection to replace it. With two more executions planned over the next two weeks, Georgia's death penalty is now being carried out aggressively compared to years past. Prosecutors say the time has been long overdue, while death penalty opponents fear a rush to executions will lead to errors in the lethal injection process and the potential that wrongly convicted inmates will be put to death. If all three executions are carried out, the state will have executed more people this year than any year since 1987, when five people were put to death in the electric chair. Since the U.S. Supreme Court reinstated the death penalty in 1976, Georgia has carried out 24 executions. "It's just a matter of the cases being held by the courts as they were considering the question of whether or not electrocution was cruel and unusual punishment," said Attorney General Thurbert Baker. "A number of cases were sitting there waiting for that resolution and once that was resolved, a number came forward." The long delays have been frustrating for some prosecutors. Cobb County District Attorney Pat Head called the protracted delays between the exhaustion of appeals and execution intolerable. "If we're going to have a death penalty in Georgia, then it's got to be carried out," Head said. "Otherwise, we're not only causing tremendous problems for the victims, but for the accused as well." Only days before Mincey was executed, Head obtained a judge's order that Fred Marion Gilreath be put to death on Nov. 13. Gilreath, 63, was convicted for the 1979 murders of his wife and father-in-law. Jose High is scheduled to be executed Nov. 6 for the 1976 murder of an 11-year-old boy in Taliaferro County. Atlanta lawyer Mike Mears, who represents indigent defendants charged with capital crimes, said he believes the state quickly set the executions to avoid having the courts hear evidence as to whether lethal injection, like the electric chair, is cruel and unusual punishment. "I think they're dead set on getting it down pat before we get a chance to challenge it," Mears said. "If they're so satisfied that it's not cruel and unusual punishment, why not let a judge hear the evidence and decide it? There's no reason for this rush headlong into this many executions." Mears, who is launching challenges against lethal injection, said the issue will get its first hearing on Nov. 21 in Fulton County in the pending capital case against Timothy Dawson. Dawson, accused of killing three men who were in town for an Atlanta Falcons game in 1998, has yet to stand trial. "In the meantime," Mears said, "we could have a lot of people being experimented on by people at the Department of Corrections who have had no serious training whatsoever in the process they're going to be using to take these guys' lives." Mears said he will present evidence of numerous botched lethal injection executions across the country. Mincey's execution, however, went smoothly. "The execution went entirely according to protocol," said Department of Corrections spokesman Mike Light. "We're confident that the procedure met all Georgia laws and constitutional standards." And with the electric chair no longer a target for legal attack, death penalty opponents may find it much more difficult to halt future executions, legal experts say. "By making the death penalty a little more sanitized and avoiding the specter of one of those botched electric chair executions, the switch to lethal injection may help secure the future of the death penalty in Georgia," Mercer University law professor Jim Fleissner said. "Obviously the defense bar is fighting the death penalty on every front, including a full-court press against lethal injection," said Fleissner, a former prosecutor. "But lethal injection looks like a medical procedure, with no mutilation of the person. I think it's going to be very hard to attack that as a means of execution." Gwinnett District Attorney Danny Porter agreed. "I suspect that legal challenges to lethal injection will get fairly short shrift," he said. "Ironically, I think, the end result of the electric chair being declared unconstitutional is that it's going to make it much more difficult for death penalty opponents to challenge the method of lethal injection and the death penalty itself." By the time most condemned prisoners' executions are scheduled, they have already exhausted numerous rounds of appeals. These include the direct appeal and state and federal lawsuits --- called writs of habeas corpus --- that attack the constitutionality of their convictions and sentences. Because it is so difficult to get courts to consider further appeals after those claims have been exhausted, the most likely way to launch a serious attack against lethal injection would be to raise the issue before trial, as Mears and other defense attorneys are raising in several pending capital cases.. But in its ruling banning the electric chair, the Georgia Supreme Court appeared to tacitly endorse lethal injection, taking note that the Legislature had already switched to allow executions by lethal injection for murders committed after May 1, 2000. "The Legislature's adoption of lethal injection . . . reflects societal consensus that the 'science of the present day' has provided a less painful, less barbarous means for taking the life of condemned prisoners," Justice Carol Hunstein wrote for the court's majority. Still, death penalty opponents say the state is making a mistake by setting the three executions so soon after the Georgia Supreme Court's ruling. "Why the rush?" asked Richard Dieter of the Washington, D.C.-based Death Penalty Information Center. "I don't think the necessary issues have been adequately aired to set executions so quickly." Dieter suggested that state attorneys, stung by losing the legal battle against the electric chair, are mounting a campaign to reassert the imposition of the death penalty in Georgia. "It too often gets to be a pitched battle, and sometimes that leads to mistakes," he said. "Where emotions and politics are intertwined, it's better to be careful and deliberate than to turn this into a cause for winning and losing." Since the death penalty was reinstated by the U.S. Supreme Court in 1976, the state of Georgia has carried out 24 executions. All told, Georgia has carried out 442 executions, the first in 1924. There were no executions from 1976 until 1983. Here is the year-by-year total since then: 1983....1; 1984....2; 1985....3; 1986....1; 1987....5; 1988....1; 1989....1; 1990....0; 1991....1; 1992....0; 1993....2; 1994....1; 1995....2; 1996....2; 1997....0; 1998....1; 1999....0; 2000....0; 2001....1. Terry Mincey was executed in Georgia on the evening of 25 October for the murder of Paulette Riggs in 1982. The state Board of Pardons and Paroles rejected clemency on 24 October. Terry Mincey becomes the first person to be executed by lethal injection in Georgia. Earlier this month, the state Supreme Court ruled that Georgia's use of the electric chair was unconstitutional. It was the first execution in the state since June 1998 and the 24th since executions resumed in the USA in 1977. This was the 56th execution in the USA this year and the 739th since 1977. Vigils on took place on the evening of Thursday, Oct 25 at the prison in Jackson, the state capitol in Atlanta, Americus, Athens, and Savannah. Terry's execution was scheduled at 7pm, but halted by the Supreme Court minutes before 7pm. An hour and six minutes later he was pronounced dead after the state killed him. "Mincey Quietly Executed; Georgia Uses Injection for First Time," by Rhonda Cook and Bill Osinski. Jackson - Terry Mincey became the first person in Georgia to die by lethal injection Thursday. His death came at 8:06 p.m., 10 minutes after he received the first of a series of three drugs --- a sedative, a paralyzing agent and then one that brought on a heart attack --- and 19 years after he killed a 38-year-old Bibb County convenience store clerk named Paulette Riggs, the mother of three, during a $140 robbery. Riggs' death was violent and noisy, from gunshots. Mincey's death was sterile, efficient, emotionless. Until Thursday, Georgia had not executed anyone in three years. But the unofficial moratorium on capital punishment in Georgia was broken Oct. 5, when the state Supreme Court ruled electrocution unconstitutional. With electrocutions, witnesses hear the sound of the generator that produces the electricity as it moves through its cycles and see the condemned person's hands move and the color of his flesh turn red. Thursday night's execution was like watching somebody go to sleep. A day of frantic appeals by Mincey's lawyers to various courts wound down to nearly an hour's delay in the execution. In the end, all courts, including the U.S. Supreme Court, turned down his appeals. His defenders questioned, among other things, whether Mincey was the main triggerman among the three men involved in the crime. The other two did not get the death penalty. Mincey, 41, appeared calm as witnesses filed into the brightly lit room on the other side of the glass window of the death chamber at Georgia Diagnostic and Classification Prison. He was strapped onto a gurney, his arms reaching out to the walls on each side of him. His last words were to his friends: "I just want to say to all the people who stood by me, I appreciate it. That's it." Warden Fredrick Head read the death warrant that condemned "Terry Michael Mincey," and left him on the gurney in the small cinderblock room, tubes running into both arms. A chaplain squeezed Mincey's left hand before going into another room from which he and the executioners could watch the procedure through a one-way glass. Mincey, who was called Mitchell Terry Mincey on appeals documents, could see the official witnesses, including two of his friends, through regular glass. He appeared calm throughout the procedure. He looked around the room at the guard in the corner and then at some of the witnesses, nodding to those sitting to his right. He closed his eyes for a moment and then struggled to open them. His lips moved, and then he closed his eyes for the last time. His chest moved for a while longer and then stopped. The room was quiet. The only sounds were reporters taking notes with pencils, while a guard sighed and a woman coughed. Witnesses knew it was over only when the warden and two doctors came into the death chamber. First, one listened to Mincey's heart with a stethoscope and shook his head "no," indicating no heartbeat. Then a second listened for a heartbeat, looked at the warden and also shook his head that there was none. The warden turned to the witnesses and said, "The court-ordered execution of Terry Michael Mincey was carried out at 8:06 p.m." In the hours before his death, Mincey visited with friends and relatives, as he did on Wednesday. At 4:45 p.m., he had his final meal of fried shrimp, baked potato, two soft drinks and chocolate ice cream. Vigils were held at the state Capitol and at the prison. Mincey was subdued and submissive on his last day, said prison spokesman Mike Light. The GBI will take his body to Tyler Funeral Home in Decatur. His witnesses were three lawyers and two friends. One of those friends, Tracey Bilow, recalled him as a man who was a steady worker and had a good sense of humor. "He wasn't the type to go out and start whoopin' on anybody," said Bilow, who knew him from the Bibb County community of Lizella. Bilow, who had remained in contact with Mincey, said the public shouldn't be quick to judge him. "I feel sorry for the victim and her family, but I also feel sorry for the man being strapped to the table," she said as she prepared to witness the execution of her friend. "I feel like God should be the one to do the punishment." She was accompanied by Skip Hulett, a former Macon newspaper reporter who covered Mincey's trial and later became his friend. "Terry has changed," Hulett said. "He's a lot different from the reckless, directionless young man he was." Hulett said he had some doubts about Mincey's guilt during the trial "and those questions have never been answered." Mincey also had unanswered questions in his own mind, Hulett said before the execution. "He still doesn't know how it could have happened, how he could have gotten involved with that kind of violence." After the execution, Hulett and Bilow left the prison area holding each other for support. "Terry died with dignity," Hulett said, adding that the procedure seemed very mechanical. "We've made a routine out of something that's as brutal and horrible as what Terry took part in." An acquaintance of Mincey's came to the prison to support the execution. Tommy Goss of Macon ran an amusement arcade called the Wreck House in Bibb County at the time of the killing, and Mincey hung out there. "He was a typical teenager," Goss said. However, the woman Mincey killed was also just a typical working woman, trying to help support her family, he said. To Goss, her death was the justifying argument for Mincey's execution. "There are certain things people do that make them forfeit their right to live on this Earth," Goss said. Goss was the lone pro-execution demonstrator. Approximately 40 people came to protest. David Courtenay-Quirk, of the Atlanta group Campaign to End the Death Penalty, said people who commit the same crime receive varying sentences based on their race or social standing or on the zealousness of the prosecutor. "The death penalty is basically a crapshoot," he said. Mincey's execution came after a flurry of attempts to stop it, including an attack on the credibility of the state Board of Pardons and Paroles just minutes before the five people on the clemency board were asked to commute Mincey's sentence to life. The recurring claims in the challenges were that one of Mincey's co-defendants actually fired the fatal shot, that Georgia was not prepared to carry out lethal injection humanely and that two board members accused of unethical behavior would want to reject Mincey's appeals to please the Attorney General's Office, which is investigating the pair. Mincey's co-defendants, Timothy Jenkins and Robert Jones, pleaded guilty and cooperated with authorities. Jones is serving a life sentence on a murder plea. Jenkins, who pleaded guilty to armed robbery, was released from prison in 1992. "Efforts Mount to Stop Execution; Mincey Appeal Contends Procedure Rushed," by Rhonda Cook. Those who loved Paulette Riggs will remember Terry Michael Mincey because he was convicted of snuffing out her life for $141.19 from a convenience store cash register. But outside that circle of people, Mincey will most likely be known as the first person in Georgia to die by lethal injection --- if his execution is carried out Thursday as planned. For three years, Georgia has not executed anyone though there are 127 men and a woman under a death sentence. But since the Georgia Supreme Court ruled electrocution was unconstitutional two weeks ago, two have been put in line to die at the hands of the state --- Mincey first, for shooting Riggs at a Macon convenience store in 1982, to be followed on Nov. 6 by Jose High, sentenced to die for the 1976 murder of an 11-year-old boy in Taliaferro County. "I think it would be a travesty if we can't stop this execution," said Amy Donnella, Mincey's attorney. "But that is my fear." Late Friday, Mincey's lawyer filed an appeal with the court in Butts County, the home of death row. Donnella argued that her experts had not had time to review Department of Corrections protocols for lethal injection. She also argued that someone else committed the murder. No hearing has been scheduled. Anti-death penalty forces are shocked that the executions were scheduled so soon after a gurney replaced the chair in the death chamber at the Georgia Diagnostic and Classification Prison near Jackson. They also worry that the executions could be carried out before the Georgia Supreme Court can review yet-to-be presented evidence that lethal injection also is cruel and unusual punishment. "How can you execute someone in good conscience knowing that the legality of the method of execution has not been tested by the Georgia Supreme Court?" said attorney Tom West, who represents defendants in four pending death penalty cases but is not associated with Mincey's or High's cases. Yet officials with the state claim that the state Supreme Court already approved lethal injection in its Oct. 5 decision throwing out electrocution by noting that the change in method "reflects societal consensus that the 'science of the present day' has provided a less painful, less barbarous means of taking the life of condemned prisoners." Some legal scholars don't expect the state's justices, at this time, to strike down lethal injection, which has been upheld by other courts. "There have been a string of challenges," said Fordham University law professor Deborah Denno. "It's just they have never succeeded . . . Every state and federal court has upheld. It's never been knocked down. But it has come close to being questioned." Anti-death penalty forces in Georgia argue, however, that they are prepared to present evidence that lethal injection, like electrocution, represents "cruel and unusual punishment," specifically at a Nov. 19 hearing in a death penalty case pending in Fulton County. If the judge in that case finds lethal injection unconstitutional, that would be their avenue to get the issue before the Georgia Supreme Court in an effort to stop other executions, including Mincey's and High's if they are stayed. "Why are they [the state's attorneys] so anxious to kill someone?" said attorney Mike Mears, who has filed a similar motion in two other pending capital cases. "These people have been on death row a long time. What's another month going to matter?" To their chagrin, Mincey's attorney did not receive documents detailing the dosages of the three drugs that will be used until late Thursday. She said the information provided is unclear and her experts have not had time to review them. Donnella is especially worried that the level of sedatives would not be enough. If Mincey should wake during the procedure, she said, no one would know that he was suffering because another drug used would have paralyzed him. Denno, the execution expert, said the paralyzing agent was used, primarily, because officials did not know how the condemned might respond to the lethal drugs. "It doesn't look so great to have somebody jerking around on a gurney so they admit it's to paralyze them," Denno said. Donnella thinks the procedure to be used in Georgia has not been well thought out and that suggests the Department of Corrections is not prepared to carry out a lethal injection. Not true, said Warden Fredrick Head. First there are two injections of a sedative, each one gram of sodium pentothal mixed in 50 CCs of water. The next step is to administer 50 CCs of Pavulon, which causes the lungs to collapse and paralyzes the condemned. Then, 60 CCs of potassium chloride are injected to stop the heart. A doctor watching a heart monitor attached to the inmate will signal when his heart stops. Then two other doctors, using stethoscopes, will confirm that he is dead. Thirty-five other states use lethal injection, including 14 in which the inmate or the state can choose between lethal injection or another method --- either firing squad, gas chamber, electrocution or hanging, depending on the state. "If they're going to kill people, they need to come up with a procedure that people can agree . . . is the best possible way to do it," West said. "You can tell reading these things [the protocols] it's hastily thrown together. The person responsible for the maintenance and production and preparation of the three chemicals is the assistant warden for security. What does the assistant warden for security know about handling, preparation, care and management of drugs? Probably not very much but that's what we're dealing with here," he said. "Condemned Killer's Guilt is Disputed; Mincey Lawyer Files Challenge," by Bill Rankin. With Georgia's first lethal injection execution scheduled next week, a lawyer for condemned killer Terry Mincey is contending her client did not fire the fatal shot that killed a Macon convenience store cashier in 1982. Although Mincey was prosecuted as the gunman who killed Paulette Riggs, the Bibb County district attorney's office had evidence suggesting otherwise and never disclosed it, said a legal motion filed Friday by Mincey's lawyer. The challenge, which seeks a new trial, was filed in Superior Court in Butts County, home of Georgia's death row. "There can be no doubt that confidence in the outcome of Mr. Mincey's trial and capital sentencing proceeding is undermined," said the court petition. It also challenges lethal injection as a method of execution and contends the Georgia Supreme Court has failed to determine whether capital sentences are proportionate to penalties imposed in similar cases. The legal challenge contends that Mincey's co-defendant, Timothy Jenkins, fired the shot that killed Riggs. The motion cites statements recently made by Jenkins' ex-wife, two eyewitnesses to the armed robbery and a retired GBI ballistics examiner who says "the available evidence" indicates Riggs was killed by Jenkins' gun. Jenkins, who pleaded guilty to aggravated assault and robbery, testified for the state at Mincey's trial, saying that Mincey killed Riggs. Jenkins pleaded guilty to armed robbery and aggravated battery and was released from prison in August 1992. Graham Thorpe, a Bibb County assistant district attorney who prosecuted the case, said he finds Mincey's new contentions unbelievable. "If it were true that Jenkins shot Paulette Riggs and Terry Mincey did not, then why has Terry Mincey sat on death row for 19 years without bothering to tell anybody that?" he asked. At trial, Bibb prosecutors described Mincey as a calculating killer who led two other armed men during a murderous robbery. On the evening of April 12, 1982, Mincey, Jenkins and Robert Jones got together and planned a hold-up. After driving by a Mini Food Store, they circled back and parked. According to court testimony, Mincey entered the store and then returned to the car, telling the others there were only a female clerk and two teenagers inside. Mincey then informed Jones and Jenkins he did not plan to leave any witnesses. After the robbery of about $140, Mincey shot and killed Riggs and shot and seriously wounded an off-duty fireman who was pumping gas, according to testimony. The two teenagers escaped unharmed. According to court records, Jenkins served as the lookout and Jones drove the car. Jones is serving a life sentence for felony murder. Mincey's new court petition says that a brother and sister who were in the store at the time of the robbery have signed affidavits saying they saw Jenkins holding a gun on Riggs and that they heard shots fired and Riggs scream after they fled the scene. And Jenkins' ex-wife, Julie Chavies, said in a sworn affidavit that Jenkins talked about the crime after he returned home that night. "He was very nervous, pacing around and mumbling to himself. I got up and saw he was in the bathroom scrubbing his hands with Ajax. After scrubbing his hands, he cleaned his gun," she said in the affidavit. At one point, Jenkins told her, "I did a terrible thing --- we were getting high and riding around and we killed them," according to Chavies' affidavit. She also said that she told this information to Bibb District Attorney Will Sparks. Sparks committed suicide in 1993, shooting himself in the head at the county courthouse. Amy Donnella, Mincey's attorney, said Friday that she was grateful the witnesses came forward. "I think they recognized that the truth had to come out," she said. Kelly Fite, who was once the GBI's chief ballistics examiner, said in a sworn affidavit that he was troubled by his review of the case. "It is my expert opinion that an insufficient investigation was conducted concerning the ballistics evidence in this case and that improper evidence handling techniques resulted in the loss of crucial evidence," he said. He also said that Jenkins' behavior on the night of the killing, as described by Chavies, is consistent with someone who had just fired a handgun and who was trying to destroy the evidence. Fite noted that the ballistics evidence supports the prosecution's argument that Mincey shot Riggs but he said that Riggs was shot twice, once in the back and once in the head. The bullet recovered from Riggs' back was fired from the Llama handgun found at Mincey's home, according to court testimony. But the fatal bullet fired into Riggs' skull was never recovered, Fite said. Fite also said that only one spent cartridge shell was found near Riggs' body, when there should have been two if two shots had been fired from the Llama, which ejects shells after being fired. Fite noted that Jenkins' gun, a .38-caliber revolver, did not eject shells when fired. "If Jenkins had fired the fourth shot . . . that would explain the absence of a fourth cartridge at the scene," Fite said.